In San Diego, California, a girl with pale skin and white hair is found walking around the scene of a deadly car accident. She has no injuries, and no history. She simply appeared. Three years later, the girl known as "Esa" still has no memory of what her life was like before the accident, but that changes when a new boy arrives at school. He knows her and questions what Esa is doing walking around a crowded hallway a century before she was even born. With his help, Esa learns her true identity: she is one of six young soldiers who are able to travel through time collecting supplies for their dying world. The soldiers' unique capabilities have made them highly valuable, and wanted. As Esa gets reintroduced to the team, she is also intent on finding out what happened to cause her to lose three years of her life, and she doesn't believe it was an accident. Someone or something tried to keep her away from the team and the Jump Line. Esa James has been tricked, attacked and lied to by two people who she thought were her parents, but now the truth has come out. They were never related to her. It had all been a lie. In fact, they're not even human. Now, those two are trying to change even more humans and kidnap them to take them back to their dying world. TIMED OUT is the third book in the JUMP LINE series. They escaped; and now they are on the run. Subject Six and her pack faced the destruction of their lives, all that they know is gone. Now everything the Splice's have ever known is being questioned, and they have to live in constant curiosity. Their creator has found them, but have the Splices life-long Handler's lost them? No longer is Six the only female Splice. No longer is Two the only one out for the alpha rank. No longer is Three the man of solitude he was. And no longer is Five the one with the least to lose. The Splices deal with their freedom that comes with a price; they are being hunted, they are vulnerable. Now they have to learn to understand the changing world as we know it, something they know nothing of. Change to Splices is a delicacy; but can they stomach it? 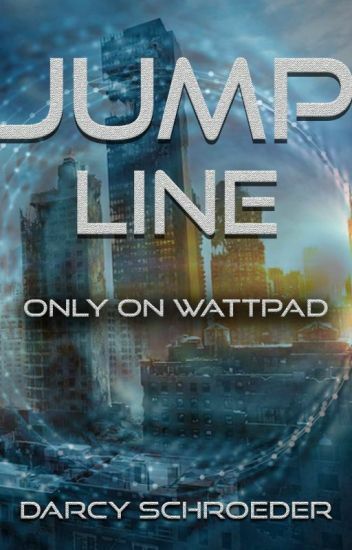 Time Hunter is the second book in the Jump Line series: https://www.wattpad.com/story/31885460-jump-line. Esa James is human, but she's got a unique set of capabilities that make her special and wanted. She's part of an elite unit of five soldiers in the year 2105 who are able to easily travel through time thanks to the Jump Line. Esa's former teammate turned traitor, Luther, still hasn't been found. Neither has the evil leader of NorthStar, Troy. Strange things begin to happen to each of the team members. The elite team of Esa, Theo, Samuel, Audrina and Gave know it's only a matter of time before Luther and Troy strike and try to capture the entire team, but in the meantime, someone or something is hunting them and trying to pick them off one by one. Esa is on the search for the Hunter before she becomes its next victim. "This is The Island, a prison designed for minors like me- too young to be executed, too old to be reformed, and too much of a stain on humanity to let exist. It was 'the answer' to the growing crime rate resulting from a world that was falling apart. The details evade me, but there is one thing I know. The water doesn't seem as scary as it did before." When Jordyn wakes up in the middle of a tropical forest in the mouth of a cat too big to be real, she decides this isn't how she wants to die. The Island has other plans, though. It was designed to kill her, and it will bring out every gun in the arsenal to do so. Her life becomes a game of survival from the mutant and venomous animals, severe temperature changes, and impossible weather scenarios that exist in this government manufactured prison. The twist? She has no idea who she is, where she came from, or why she committed first-degree arson. In this mixture of "The Hunger Games" and "Maze Runner", Jordyn has to unravel the truth before nature kills her- or die not knowing. Stripped of her family and her normal life, Alex, an average eighteen year old girl, finds herself in the midst of an apocalypse of brainwashed humans and a deadly World War. Hidden away in an old, beat-up apartment for two years kept her alive, but that all changed with a gunshot wound and a mysterious stranger that saves her life. Will she have the ability to overthrow the system and restore humanity? Or will she die trying? A few chapters are short, but they end and start appropriately, so that is my writing style. If you find any mistakes or typos, feel free to let me know through the comments. As the students of Kingston face a long-awaited and bittersweet reunion with the families that they no longer remember, a growing threat begins to plague Charlotte's mind, reminding her of just how treacherous the world can be. As her new found celebrity sky-rockets and the world wants to know all about the Lost Children of Kingston Academy, Charlotte finds her new life beginning to unravel at the seams. Casting doubt on her true nature, Charlotte is forced to turn to the one person who could possibly help her, even if it means dragging up a painful past and running from those who hold the key to her acceptance in this new world. A tense and action-packed tale of the battle to triumph over adversity and mistrust, Feared is the much anticipated third book in the 'Altered' series.